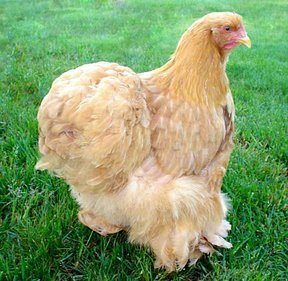 A utility, dual-purpose chicken, the Brahma ranks as one of the largest chickens known to the world. Their colossal size earned them the title “King of Poultry.” Unfortunately, the Brahma’s slow maturation rate has caused the poultry industry to pass them over in favor of faster meat producers. 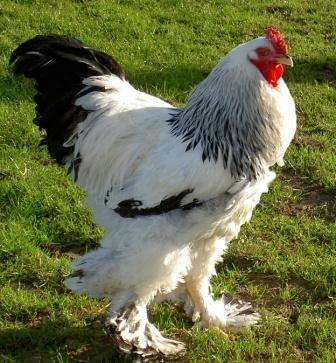 Brahma breeders today breed the Brahma more for show than meat or eggs. Hardy chickens and good winter layers, the Brahma produces most of their eggs from October to May. The breed’s profuse plumage and endearing personalities have made Brahmas show favorites and have kept them in the poultry spotlight. 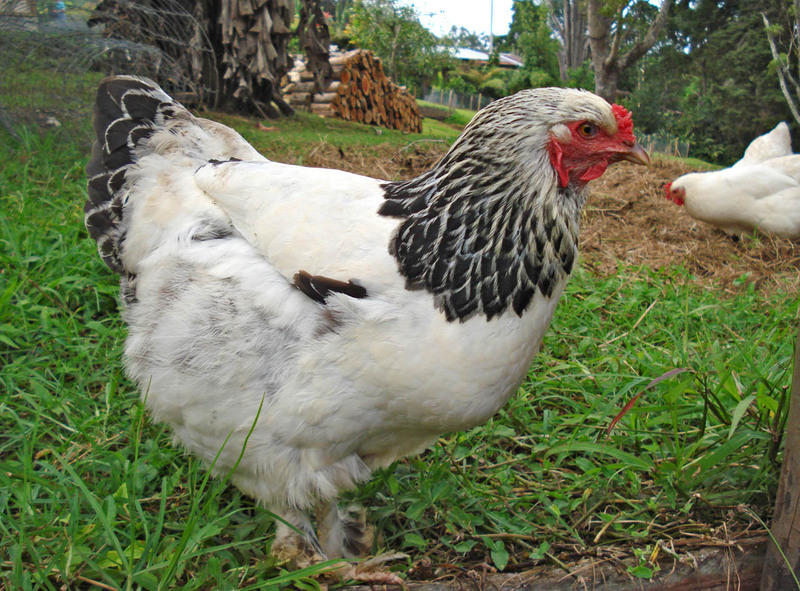 Friendly, calm, and easily handled, Brahmas make ideal pets or show fowl. Their docile personality facilitates training at the hands of their humans. The hens take good care of their chicks, but these large hens can accidentally harm hatch-lings by stepping on them. Although Brahmas show little aggression toward humans, their sheer size can intimidate smaller children. Brahmas do well in confinement as long as the coop allows them ample room to accommodate their size. Brahmas display three basic plumages: Light, Dark, and Buff. All three have intricate color patterns within the basic plumages and all three have feathers covering their legs and feet. Brahmas have close fitting feathers with a dense layer of underlying down which adds to their larger-than-life appearance on the show floor. The breed has a capacious head with an overhanging brow called the “beetle brow” with a standard red pea comb, medium wattles, and long earlobes. 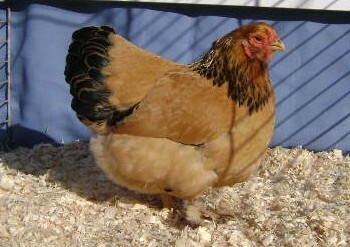 Breeders have developed different colored Brahmas that await acceptance by the American Poultry Association. Brahmas tolerate confinement well and need little foraging room in the run. However, they need extra room in the coop. Hens inadvertently trample on chicks. 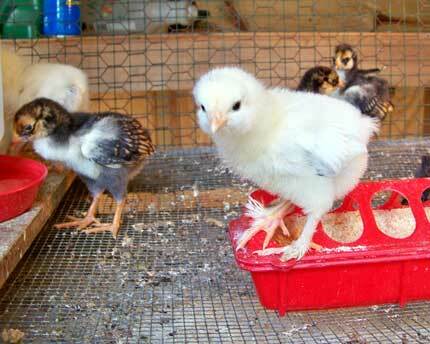 Watch out for the safety of small chicks for the first few days after hatching. Brahmas handle cold well and do best in the Northern latitudes. Their thick plumage precludes their success in the Southern states. Keep their environs dry. Mud builds up around the toes of the Brahmas’ fully feathered feet leading to frostbite in the winter and fungus in the summer. Check them often. Brahmas have a sweet, gentle spirit. However, owners of this large breed should acclimate fowl to human handling when young. Brahmas ruled as a leading meat producing breed through the later half of the nineteenth century into the mid-twentieth. Although named after a region in India, the breed developed primarily in America. 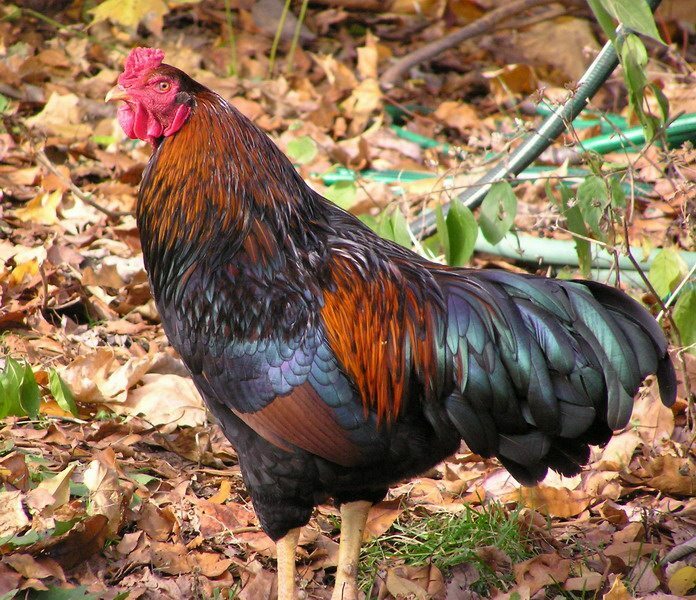 American breeders singled out the giant fourteen pound chicken known as Gray Chittagong and crossed it with another Asian fowl called the Malay to create the Brahma. Most Brahmas met the roasting pan at ten weeks, but owners found the thirteen month fowl still tender. Their popularity swelled on both sides of the Atlantic after George Burnham presented a small flock to Queen Victoria. The Light and Dark Brahmas gained early acceptance into the American Poultry’s Association in 1874. The Buff Brahma had to wait until 1924.